“Apocalypse Again: Acceptance of Inheritance” is a documentary film about Greek Orthodox Civilization, directed by Christos Godas. The screening of the film took place on April 27, 28, 29 and May 5, 6 2018 at “Stathakion”, the hall of the Federation of Hellenic Societies of Greater New York. The film gave the opportunity to anyone who watched it to experience the greatness of Greek culture and the Greek Orthodox spirit. The documentary describes how the history of the island of Patmos and of the monastery of St. John the Theologian, from the 1st century AD to the Roman era, Byzantium, Ottoman Empire and finally to modern Greece, revealing some of the most basic foundations of Hellenism and unavoidably in many cases of the whole Western civilization. 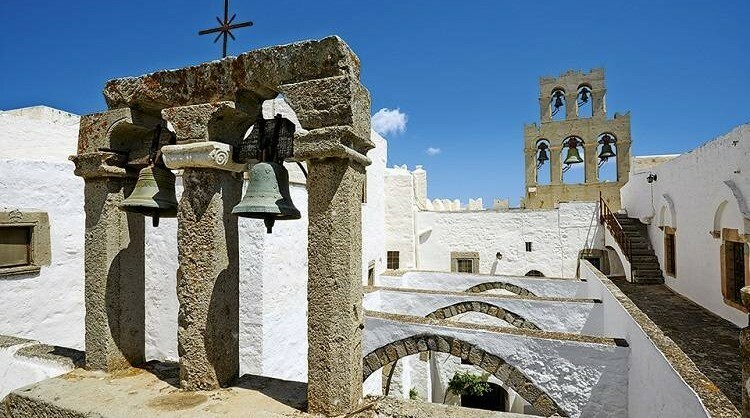 The documentary underlined the fact that during the Ottoman rule the Patmos monastery saved much of the ancient Greek literature that at that time was typified in the West. Texts of Aristotle, Plutarch, of the three tragic poets and other great ancient classics are today found in the monastery’s library and museum. In the documentary, two international figures of Greek culture share their knowledge: Eleni Glykatzi – Arveler, historian, Byzantinologist, former rector of Sorbonne and the University of Europe, and Nikos Alexiou, professor of sociology at Queen’s College, New York.